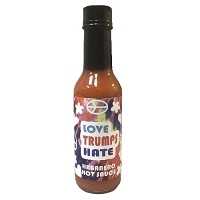 Think you like your hot sauce intense? Imagine being bitten by a scorpion - in your mouth! It's one of the most severe pains a human can experience. 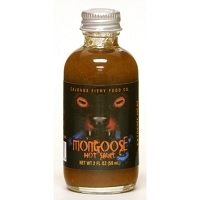 The Trinidad Moruga Scorpion pepper became the world's hottest pepper in spring 2012, and this sauce is loaded with it. That, and the Ghost that will send shivers through your body 5 Fl. Oz. Give your taste buds a fun ride - as they burn to a crisp. 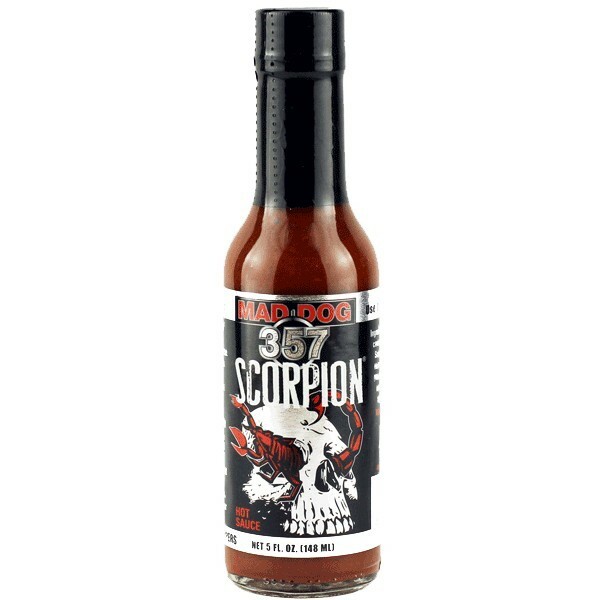 We dare you... 5 Fl Oz, Guaranteed to be 100,000 Scoville Units. 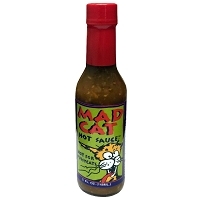 Ingredients: Vinegar, evaporated cane juice, Trinidad Scorpion peppers, Ghost Pepper, garlic, onion, Peri Peri pepper, spices and xanthan gum.